The Smurfs There are 326 products. 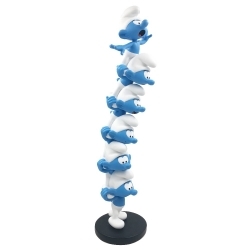 The column of the Smurfs by Plastoy. 100cm hand painted resin statue. Limited edition and numbered 250 copies with certificate of authenticity. Sassette: Resin statue sculpted by Leblon-Delienne, Zédibulle Éditions exclusivity. Hand painted resin statue 100% made in france. 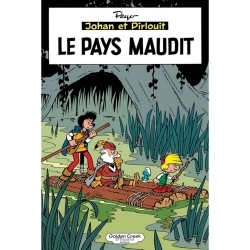 Limited edition and numbered 100 copies with certificate of authenticity with an unpublished drawing by Alain Maury. Height: 16cm. 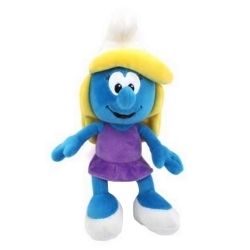 This cuddly, soft Smurf is the perfect friend for little children. A companion during the day, a soft teddy bear for nighttime – just right for a cuddle at any time! measures approximately 30cm. The lying cat Azraël. 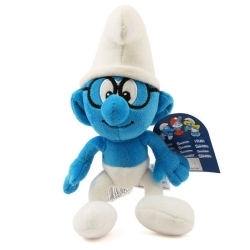 This cuddly, soft Smurf is the perfect friend for little children. A companion during the day, a soft teddy bear for nighttime – just right for a cuddle at any time! measures approximately 30cm. 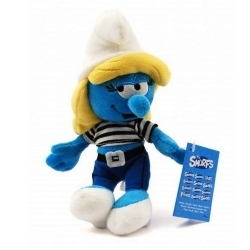 This cuddly, soft Smurf is the perfect friend for little children. A companion during the day, a soft teddy bear for nighttime – just right for a cuddle at any time! measures approximately 25cm. 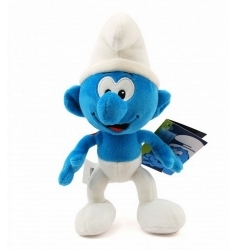 This cuddly, soft Smurf is the perfect friend for little children. A companion during the day, a soft teddy bear for nighttime – just right for a cuddle at any time! measures approximately 20cm. 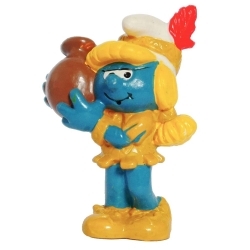 The Smurfette in sea dress. 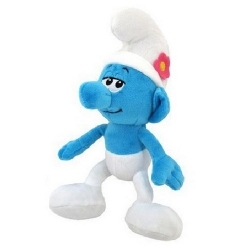 This cuddly, soft Smurf is the perfect friend for little children. A companion during the day, a soft teddy bear for nighttime – just right for a cuddle at any time! measures approximately 20cm. Smurfette in purple dress. 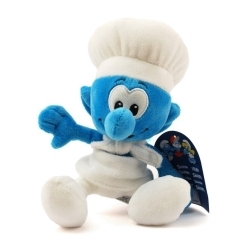 This cuddly, soft Smurf is the perfect friend for little children. A companion during the day, a soft teddy bear for nighttime – just right for a cuddle at any time! measures approximately 20cm. The Smurf Chef Cooker. 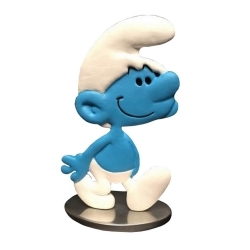 This cuddly, soft Smurf is the perfect friend for little children. A companion during the day, a soft teddy bear for nighttime – just right for a cuddle at any time! measures approximately 15cm. The Pretty Smurf. 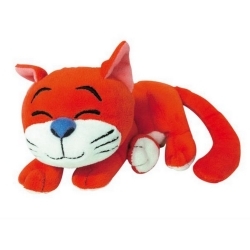 This cuddly, soft Smurf is the perfect friend for little children. A companion during the day, a soft teddy bear for nighttime – just right for a cuddle at any time! measures approximately 15cm. The Brainy Smurf. 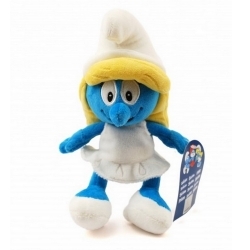 This cuddly, soft Smurf is the perfect friend for little children. A companion during the day, a soft teddy bear for nighttime – just right for a cuddle at any time! measures approximately 15cm. The Smurf Chef Cooker. 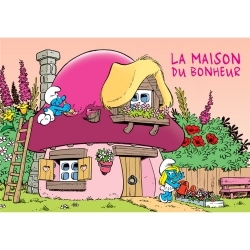 Postcard collection The Smurfs, La Maison du Bonheur. 15x10cm. Postcard collection The Smurfs, Greetings from Belgium ! 15x10cm. 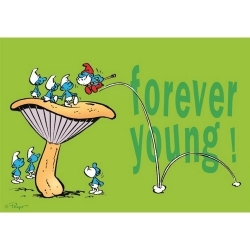 Postcard collection The Smurfs, Forever Young ! 15x10cm. 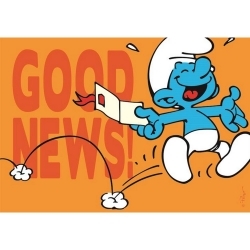 Postcard collection The Smurfs, Good News ! 15x10cm. 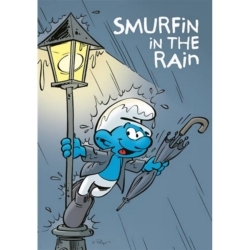 Postcard collection The Smurfs, Smurfin in the rain. 10x15cm. Postcard collection The Smurfs, I Love Brussels. 10x15cm. 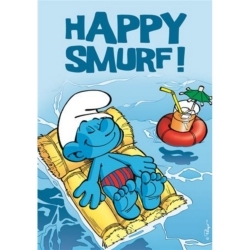 Postcard collection The Smurfs, Happy Smurf ! 10x15cm. 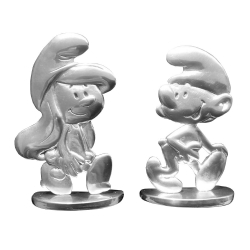 Collectible figures Smurf walking with Smurfette Les étains de Virginie. Height: 6cm, limited and numbered to 99 copies with certificate of authenticity. Postcard collection The Smurfs, Smurf Prompt rétablissement. 15x10cm. 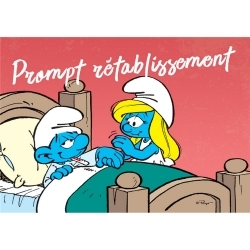 Postcard collection The Smurfs, Smurfette Prompt rétablissement. 15x10cm. 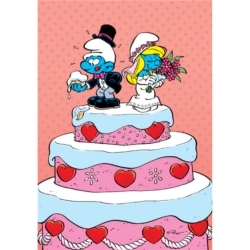 Postcard collection The Smurfs, Smurfette marriage. 10x15cm. 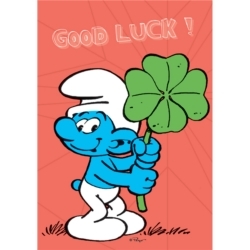 Postcard collection The Smurfs, Smurf Good Luck ! 10x15cm. 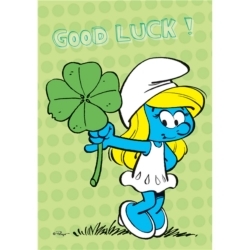 Postcard collection The Smurfs, Smurfette Good Luck ! 10x15cm. 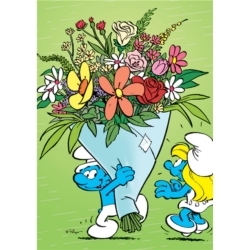 Postcard collection The Smurfs, Smurfette and bouquet of flowers. 10x15cm. 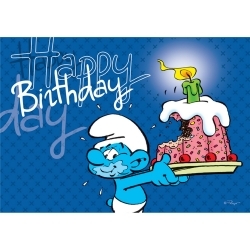 Postcard collection The Smurfs, Happy Birthday. 15x10cm. 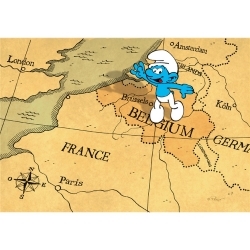 Postcard collection The Smurfs, Welkom Baby. 15x10cm. 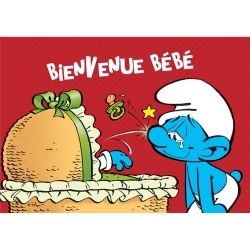 Postcard collection The Smurfs, Bienvenue Bébé. 15x10cm. 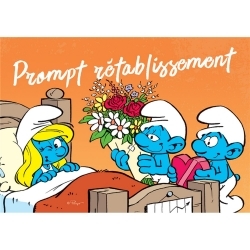 Postcard collection The Smurfs, Smurfette with the heart gift. 15x10cm. 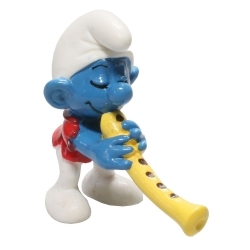 The Smurfs Orchestra: resin scene hand painted and sculpted by Alban Ficat, Fariboles. Accompanied by his numbered certificate. 100% made in france. Limited edition of 350 copies. First box containing 6 elements: Papa Smurf, Tuba, Drum, Banjo, Cymbals and Flute. Height: 5cm. 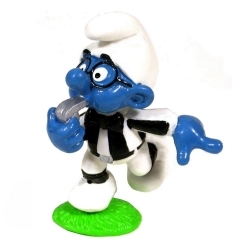 The Smurfs PVC Schleich Figure: Football Smurf referee. 6cm. Each figure is made of high-quality plastic, meticulously detailed and hand-painted. 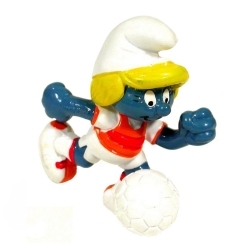 PVC Schleich Figure: Footballer Smurfette. 5,5cm. 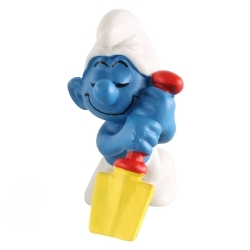 The Smurfs PVC Schleich Figure: The Smurf sleeping on his shovel. 5,5cm. Each figure is made of high-quality plastic, meticulously detailed and hand-painted. 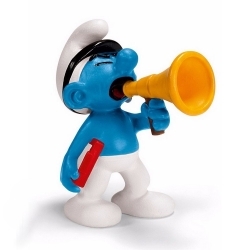 The Smurfs PVC Schleich Figure: The Smurf film producer. 5,5cm. Each figure is made of high-quality plastic, meticulously detailed and hand-painted. 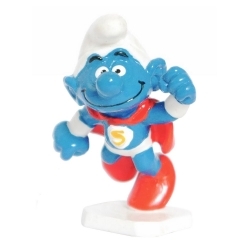 The Smurfs PVC Schleich Figure: The Superman Smurf. 6cm. Each figure is made of high-quality plastic, meticulously detailed and hand-painted. 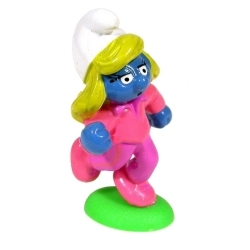 Collectible figures Les étains de Virginie: Smurfettes Duo. Height: 6cm, limited and numbered to 33 copies with certificate of authenticity. 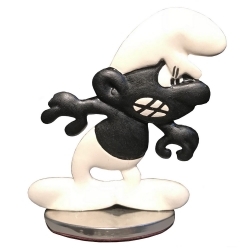 Collectible figure The Black Smurf Vintage collection Les étains de Virginie, colour version. Height: 6cm. Limited edition and numbered 99 copies with certificate of authenticity. 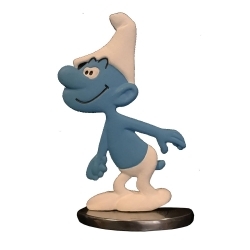 Collectible figure The Smurf Vintage, colour version collection Les étains de Virginie. Height: 6cm. Limited edition and numbered 99 copies with certificate of authenticity. 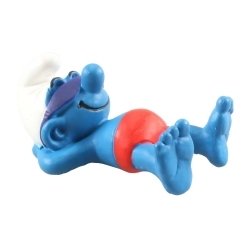 The Smurfs PVC Schleich Figure: The Smurf on vacation. 5,5cm. Each figure is made of high-quality plastic, meticulously detailed and hand-painted. 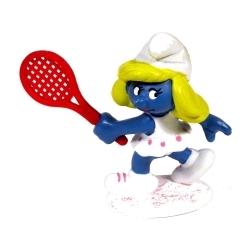 PVC Schleich Figure: Tennis player Smurfette. 5,7cm. 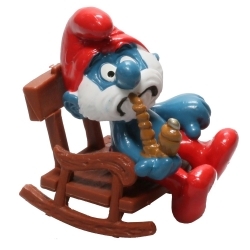 The Smurfs PVC Schleich Figure: Papa Smurf on his rocking chair. Each figure is made of high-quality plastic, meticulously detailed and hand-painted. 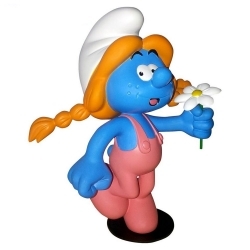 PVC Schleich Figure: Indian Smurfette. 5,5cm. 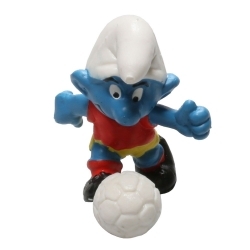 The Smurfs PVC Schleich Figure: The Smurf Vintage Footballer 5,5cm. Each figure is made of high-quality plastic, meticulously detailed and hand-painted.